Tomorrow I’m delivering two beautiful Queen Anne chairs that I took in trade last year for event services at a wedding. 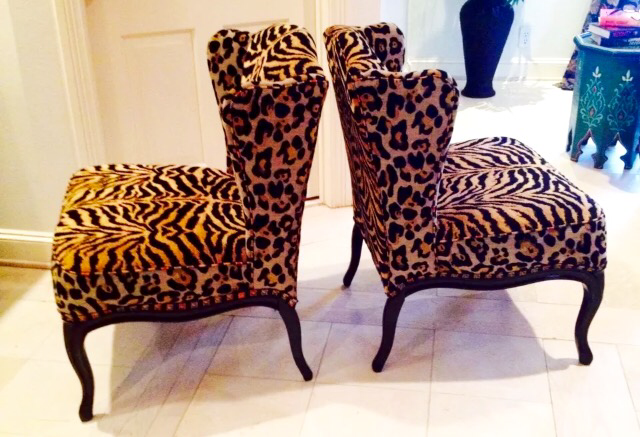 Cindy and I always look forward to meeting buyers and can’t wait to see where Cynthia will be using these beauties! The original upholstery was mauve and ripped to pieces with foam that had seen better days too so I stripped them completely. Choosing a coordinating welt and contrasting band brought the beauty back to this set. Customers who purchase furniture from me are always thrilled and this sale is a referral from Ann Marie who bought a beautiful Chippendale sofa two years ago and still raves about having something she will never find anywhere else. My designs are “different” because I like funky & eccentric mixes with a lot of personality! My history in upscale furniture sales spans 20 years and I’m primarily interested in the structure of furniture not the condition since I will strip, stain and reupholster the item (or items) anyway. I’m never satisfied with upholstered pieces and prefer to replace everything myself including the foam and occasionally the springs in antique pieces. 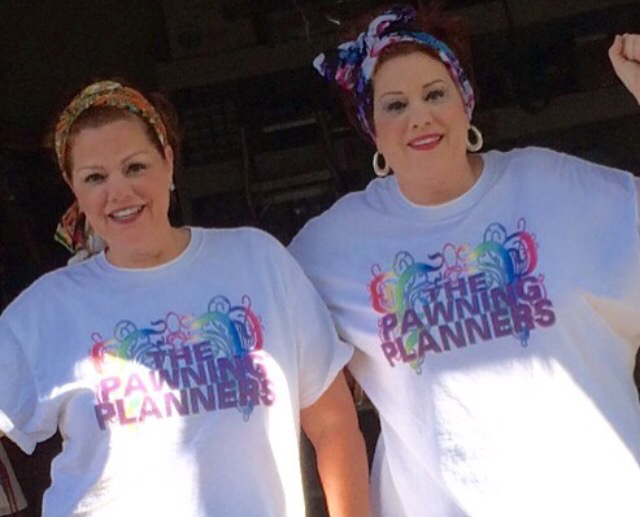 Every family that books through The Pawning Planners lack funding to book through Texas Twins Events so finding a way to help them took time and creativity. A few days ago, I was contacted to refer a photographer who’s sister owns a venue in Azle. Cindy and I drove out to take a look prior to seeing their pricing. I don’t refer a venue unless I’ve been there and evaluated the pros and cons myself. Referrals can bite back if you aren’t sure of the business so I’m really picky about promoting a brand or business not affiliated with myself or my team. The location was very hard to get to so access was a problem and the beautiful Deer Cove is right down the road with far more amenities and lower pricing. I was a little shocked to find that 2 hours runs $2k based on the location. The photographer had no portfolio AND wanted $1800 so I called her knowing she hadn’t researched myself or my businesses to give her a better idea of my client base who could never afford $1800. After a lengthy conversation that included asking where she had “come up with her pricing,” I suggested volunteering to get some experience and lowering prices. For some reason, everyone wants to enjoy the ride on high priced event services without understanding the market or the competition. My client base isnt directly targeted to rich or poor because I wanted to help the “loophole clients” who had nowhere to turn. My intention has never been to “price guage” anyone. I’m on staff and on call at numerous venues in the area and event owners often work with me and clients because they are knowledgable about my client base that often includes military members. Since I’m always surprised when a new business goes on the high end and then reaches out to me to promote their business “because I’m all over the Internet,” it should be noted that I worked my way here-I didn’t call or email other vendors asking them to promote me but, on average 5-10 venue operators and photographers ask me for help every week. This is a “scratch my back business” and I’m happy to work with you but not for you. If I don’t know anything about you though, I’m not going to refer you. I answer a lot of questions about bartering from companies who don’t understand how we get paid. The truth is that “getting paid” or making a good profit when furniture is involved takes time and an out of pocket investment. Flipping cars, boats & jewelry can be far less expensive but most of my profits are from furniture because I take the time and use the finest fabric-occasionally, it takes money to make money. In 2009, I opened an eBay store and began selling items-the rest is history because a few years later, I started Texas Twins Events and worked events while selling items I found on Craigslist or yard sales after refurbishing them to fund my initial business. Website development and advertising along with other expenses can often “make or break a new business” but, I’ve never been a quitter and used profits from my unique designs to get Texas Twins Events up and going. Over the past 6-7 years, I’ve had several questions about my initial venture and will answer them for other entrepenuers who want to expand and rebrand but have cold feet regarding getting started. 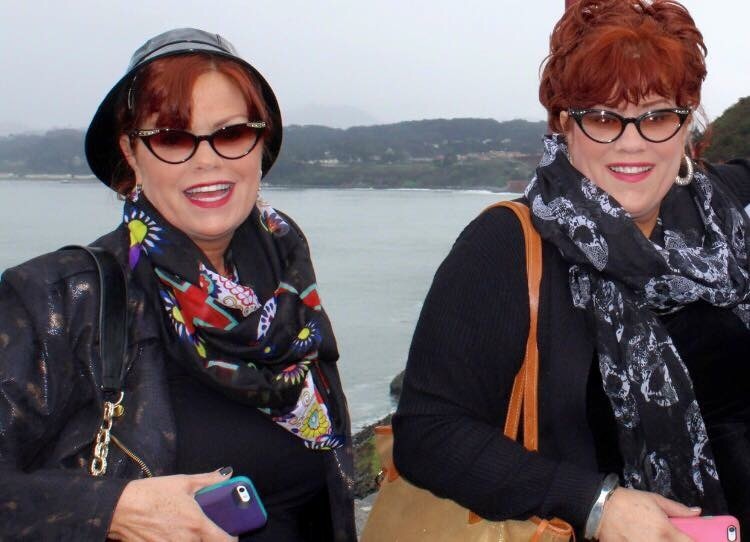 How did you decide to merge Texas Twins Events and Texas Twins Treasures to create The Pawning Planners? Well, I had a family that had no money and wanted to offer something of value. The item they suggested didn’t work but we settled on an antique wagon and I decided that since I had been selling on eBay for years that I would start taking trades and The Pawning Planners was born. It “just happened” like many things do. Ebay gave me an outlet to sell items and when you take trades-you need an outlet to sell them. My husband and I have been discussing whether to eventually have a storefront or venue for several years but are leaning towards eventually expanding my business towards a venue since we already have a staff to operate with. 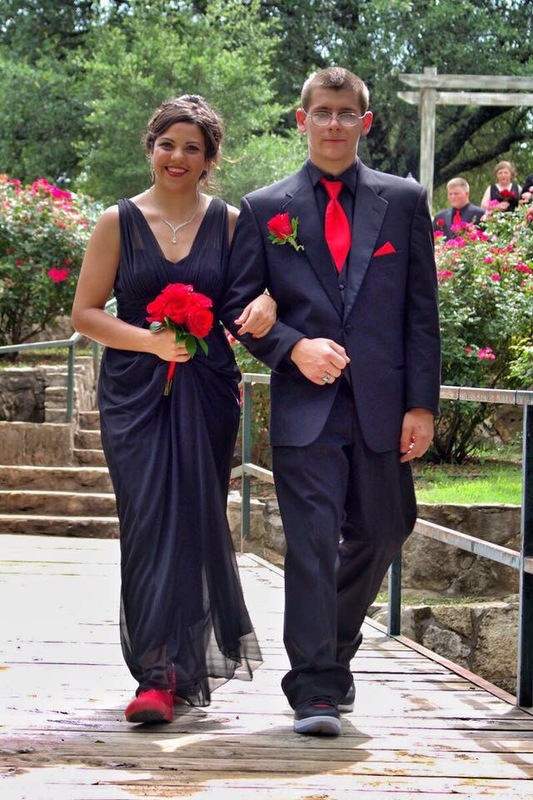 Texas Twins Events will eventually be a brick and mortar location with 3-5 officiants, planners and photographers. My long term goal will compliment my existing business since Texas Twins Events is already well established, we will build on that fan base and eventually use profits from a venue to generate income for a Texas Twins Treasures storefront because the need for options regarding Pawning Planners clients will always exist. Why does your entire family work with you at events? Well, initially I asked my twin sister to join me at events because I needed photos to go with my blogs and had no way of officiating and doing photography myself and needed an assistant. 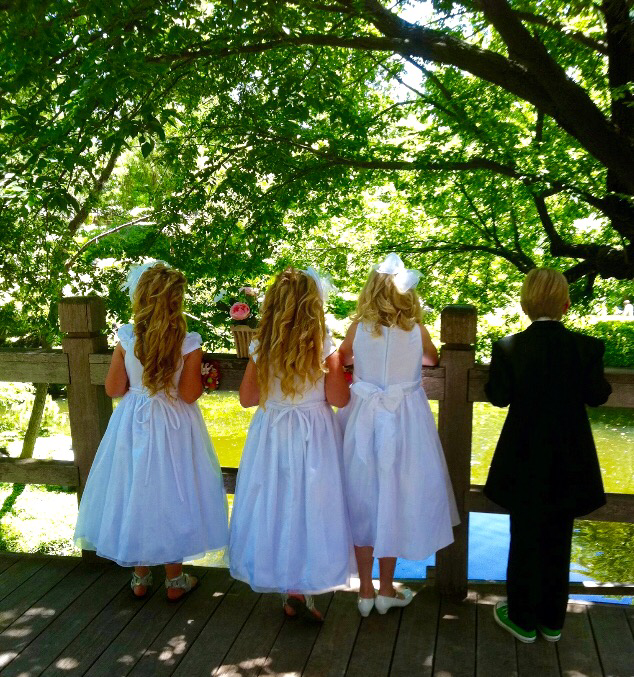 Over time, clients requested our twin granddaughters to be in their wedding as flower girls, ring bearers and ushers. My son and his wife joined to handle photography and Cindy became the friendly entertainer on location. My niece, Stephaney is bilingual so she joined us and my other niece Leigh Ann is a wedding singer. My niece, step daughter and son also work as officiants since when I started taking trades my client base boomed. It takes a village to address a diverse client base and we often “split up” and work several events in different locations. 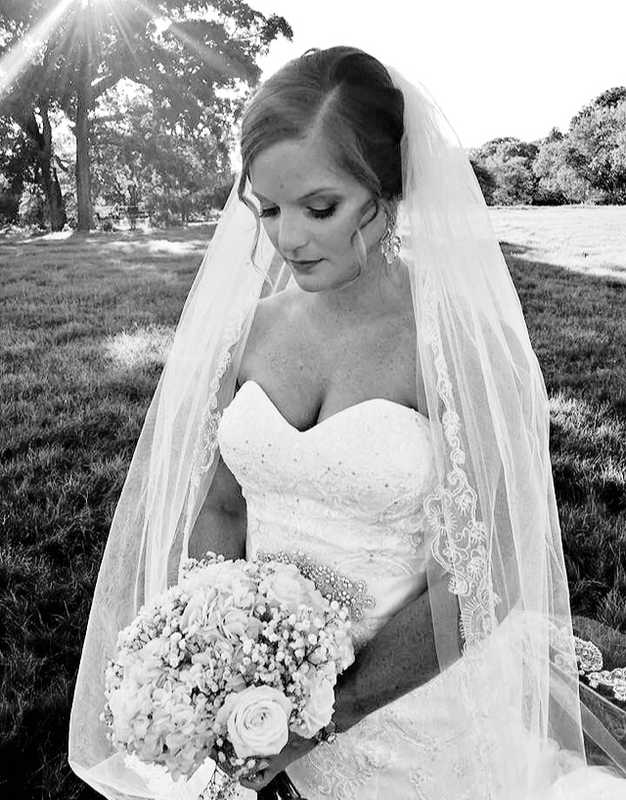 Why do you loan bouquets and other items to your clients? Pawning Planners clients are often unable to provide the “extras.” Creating an inventory in order to loan items to clients was an expensive venture but my inventory is loaned to 75% of clients booking through The Pawning Planners. How can you afford to sponsor families when they have no money or trade? 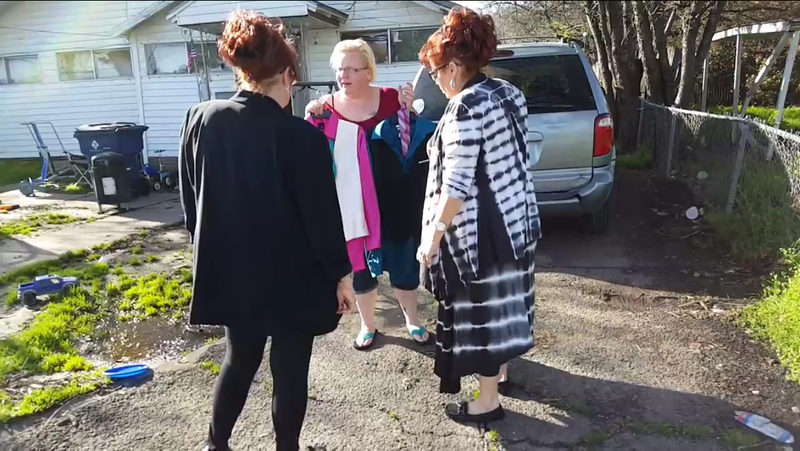 Well, I decided to create Pawning Planners Apparel to “fill the gap” and our clothing line features my saucy sisters #RedneckReality Quotes aka #Cindyism because we’ve found that people love her wisdom and humor and the idea of helping families who have no money by purchasing our items. If we needed to work for free-we did but finding a way to fund families helped us more than we expected it to with sales exceeding my expectations due completely to my sisters saucy whit and flair for words. 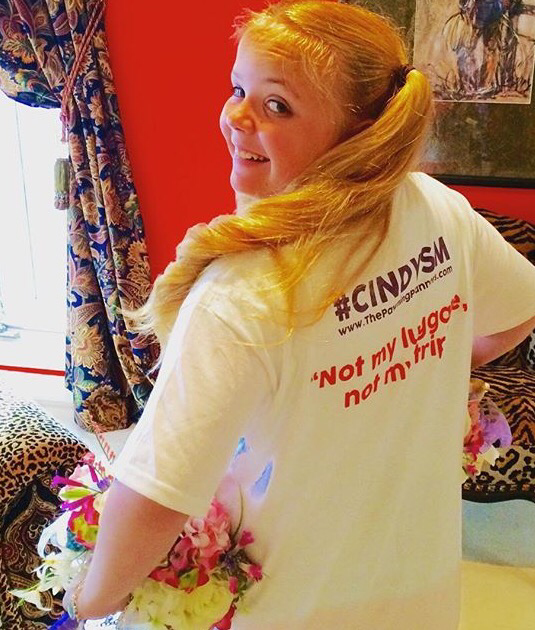 Cindy is never speechless! Pawning Planners Apparel created another avenue to raise money for the clients we chose to sponsor out of pocket. You provide complimentary photography? No wedding vendor does that! Well, I don’t compete with other vendors and when clients cannot afford photography- we volunteer photography services. Going the extra mile earns you business. You and your twin are on a weight loss journey and blatantly honest about your pitfalls and successes. Why did you decide to change your lifestyles? We are photographed frequently on location and we’re both unhappy with our weight but spent 5 years establishing our businesses and put everything else on the “back burner” until we reached a place where we could finally focus on ourselves. We spend a lot of time commuting to Appraisal Appointments and events so fast food was convenient. We are both in menopause and I’m a survivor of thyroid cancer so working out was the only way we were going to lose weight as a TwinTeam. Our mini me twins have joined us and we are all working towards a goal of being fit and trim for Twinsfest this year. Most wedding vendors are afraid to advertise to the LBGTQ community but you aren’t-why? 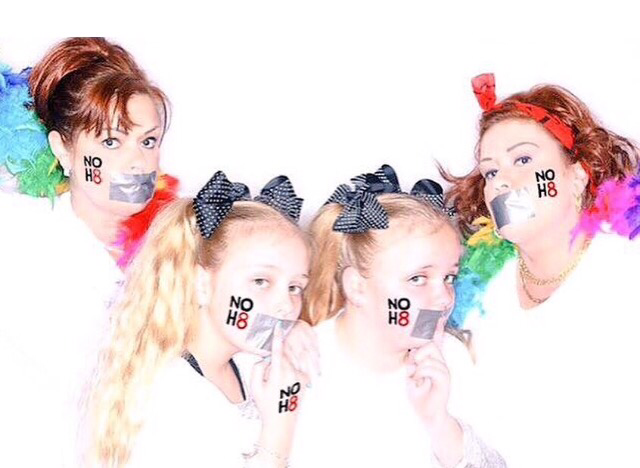 Half of my business from The Pawning Planners and Texas Twins Events are LBGTQ couples and I’m proud of the fact that many of our friends are LBGTQ and I believe in Unity Within My Community as do my family. Do you think your background in upscale furniture, automobile and brand promotion gave you insights on buying trends and helped you appraise items or “know the market?” Absolutely, my sister and I have sold everything under the sun over our careers and have always excelled at selling. Establishing a relationship with a client or buyer is essential to earning their trust. These days, I’ve experienced so many in the sales field that have not taken the time to understand the product they are selling well enough to sell it. Building a relationship and properly “pitching a product” has become so outdated these days that it’s no wonder why people research the Internet in order to educate themselves. Buying something is an important decision and trusting whoever is selling it is essential to “making a deal.” I’m old school- I send thank you cards and follow up with clients because I value their referrals and have neve been afraid to go above and beyond to earn their business. You consider just about any request-why? Everyone is different and my client base is diverse. If someone comes to me with a creative request, I’m intigued and excited about doing something new and different as is my team. 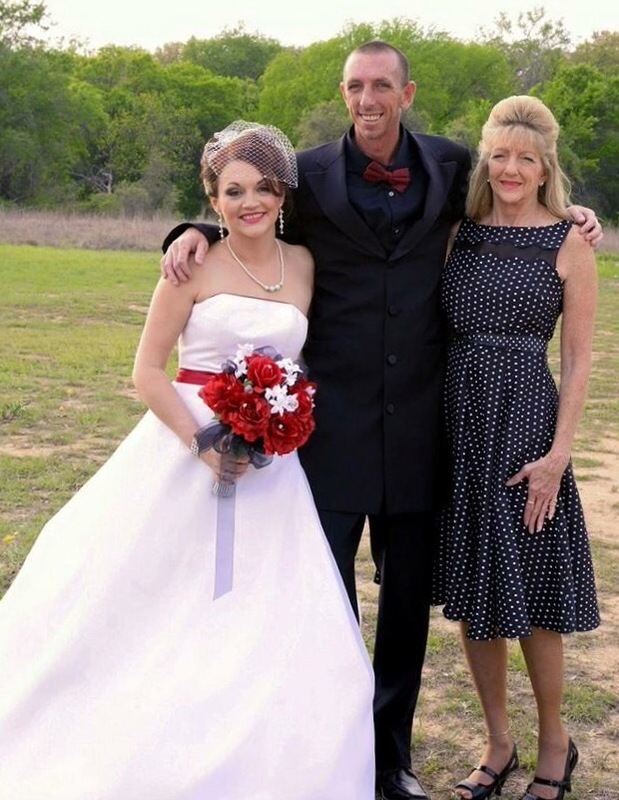 Texas Prison Weddings? How did that come into play? I’m open minded and a request for an Officiant in a Prison came across my desk. 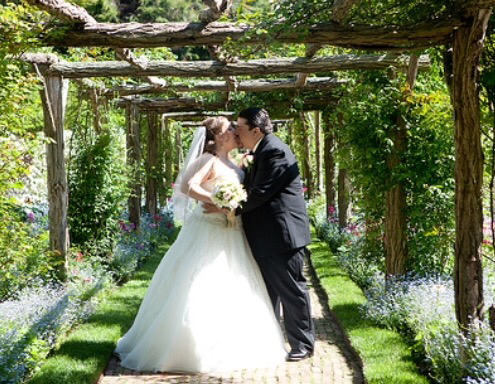 I went through the background check and added Prison Weddings to our list of services. Love Is Love and whether it’s Love After Lockup or not, every marriage is different. You spend a lot of time with your family and occasionally field arguments-how hard is that to do? My son thinks he’s the best photographer and so does my daughter in law. Petty arguments and disagreements are part of working with your family- resolving arguments is never easy but it’s essential to our success. Did you ever think that taking trades would be as successful as it is in your journey? No. I assumed that my business would increase by 10-20% but never 30-40% but a struggling economy surprised my expectations. Your adventure to change the wedding and events industry has put you in front of hundred of families are you ever nervous? I am always nervous because I shoot for perfection and am OCD. I worry all the time but my sister never worries- she loves a party and meeting new people. We make a good team and laugh a lot together. You aren’t afraid to do anything are you? No. If you never try-you will never win…I was willing to fail in order to succeed. Rebranding and expanding to include Texas Prison Wedding or barter for event services sounded “different” to our competitors because it was. Finding ways to fund events for hundreds of families wasn’t easy or inexpensive. We have never turned anyone away regardless of how different or unique their request for services was or their ability to pay or barter for services. Appraisal Appointments helped “weed out” the clients who claimed they had nothing of value but when you’ve sponsored hundreds of families out of pocket, you need to figure out who is being honest about their situation AND who isn’t. By going into clients homes, Cindy & I had far more information about their situation and whether they could pay for services through Texas Twins Events or barter through The Pawning Planners or even benefit from event services sponsored by us. We spent years working for free before expanding to take trades.